The Adairs store at Chadstone provides an exhaustive range of cushions, home wares, bedding products, furniture, wall art, bed linen and throws. 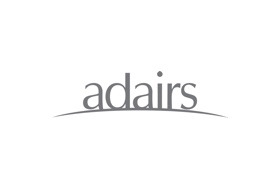 Adairs is the acknowledged leader when it comes to specialist retailing of home wares. The business encompasses a few of the country's best-known retail signatures, like Adairs Homemaker, Adairs Kids and Urban Home Republic come within the fold too. Adairs proudly claims to employ only the best in its stores. They have experienced designers, expert buyers and product developers. The outcome of such an effort is that the offer is invariably high on quality and in tandem with latest trends. The customer is the only focus in the business. Adairs stores are kept to their high standards due to the efforts of their retail team-arguably the best in Australia. They provide an excellent product knowledge and superlative level of service. The company has a distinguished history, making its commercial presence first felt in 1918.